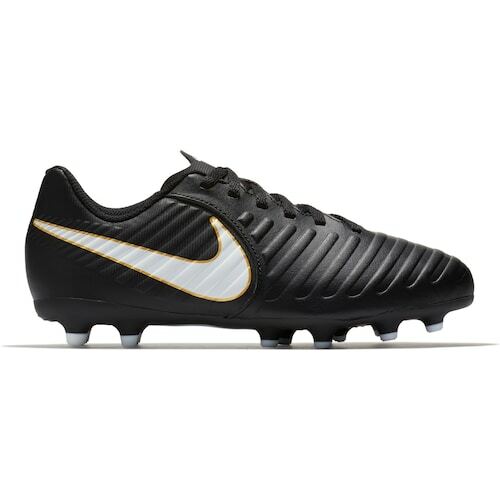 Even though it does not look like it, Kohls has Nike Jr Tiempo Rio IV Firm-Ground Kids' Soccer Cleats on clearance for just $7 (regularly $35). Available in sizes 1 to 6. Add the cleats to your shopping cart and you will see the $7 price. Although you cannot apply discount codes to Nike items, you can earn and redeem any Kohl’s Cash and Yest2You rewards you may have on these cleats. These Nike Tiempo Rio soccer cleats combine the cushioned touch of textured synthetic-leather with an accommodating fit and a durable TPU plate. It’s fit, touch and traction—evolved.